This next article is a single review, as it is now routine in our website. The reason we are fond of single reviews is because they allow you to take a better look at some great jackets, that you might miss otherwise. Continuing along the same type of jackets as our latest selection, the jacket we will be looking at today is Iceland Anorak by Fjällräven. 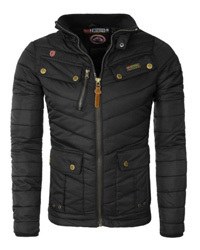 Those of you familiar with our site, have come across both the brand and this jacket in previous reviews and selections. Iceland Anorak is a heavy Winter jacket, made of top quality materials, technology and craftsmanship. While to some, the price might be a bit discouraging, we’d say to take into consideration how much it would cost, over the long run, to purchase a new jacket yearly for less money. This won’t be the case with this jacket, as it is designed for durable wear, to last for years and years to come. Well, time to see what Iceland Anorak is all about! Let’s start off with weather durability. 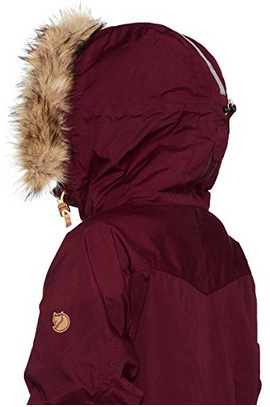 Iceland Anorak, as we said previously, is a heavy Winter jacket, which is designed to withstand freezing temperatures and the coldest of winds. The hooded collar will keep your head warm and protected, while the faux fur trim around it will not only look fashionable, but keep your face safe from the cold. When zipped down, the collar is still protective due to the gusset underneath. There are Velcro fasteners on the sleeves, to help the cuffs adjust to size and the front zipper is only half-way. How so? It’s because this jacket wears like a hoodie, rather than a typical front-opening jacket. There are side zippers, which make it easier to put the jacket on and help with ventilation. 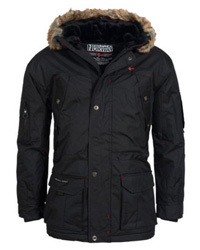 As for water-resistance, in itself the jacket is water-repellent, but more suitable for dry weather. However, you can take matters into your own hands and kick things up a notch. Yes, you guessed it! Waxing. There are a variety of waxes you can use and it is very simple to do. Here’s a video by the brand itself, to help explain things better. Keep in mind that waxing will take away what breathability a jacket has, usually. This is not the case with Iceland Anorak, because of the ventilation zippers on the sides, which bypass the issue with waxing completely. Another thing to note, is the jacket’s practicality, due to the spacious pockets it comes with. First and foremost, is the kangaroo pocket in front, with plenty of room for anything you might need. Then there are two flap pockets on the sides, lined to keep the hands warm. 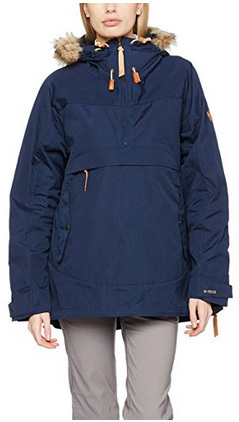 For when the cold and rain really kick in, Iceland Anorak has another special feature: a crotch strap. This will keep the jacket in place and also prevent rain and winds from getting through from the bottom. And lastly, this makes a great outdoor jacket for a variety of activities, even in the coldest of weather, as it is very comfortable to wear as a top layer, with thicker clothing underneath. This jacket is part of the G-1000 Original series, made of 65% Polyester and 35% Cotton, if we are to break it down technically. 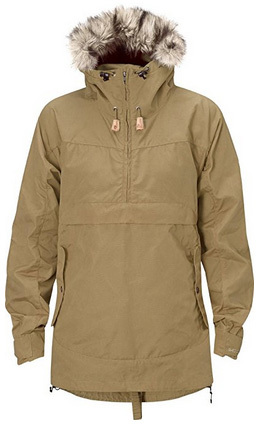 G-1000 is one of the best outdoor fabrics, designed to be water-resistant, windproof and breathable. Aside from that, it is one of the most hardwearing fabrics ever designed. It will last for many seasons and withstands different environmental conditions with no issue. 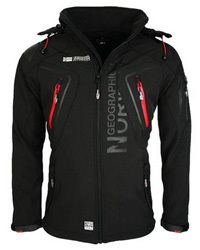 This is also a UV-protecting jacket, due to the G-1000 fabric, preventing sun damage when spending long hours outdoors. And another benefit is its mosquito and insect safety, as it is so tightly woven that you won’t run the risk of being bitten by them. Let’s get the issues out of the way first. The main problem reviewers faced is with size. This is because the design is quite spacious. That way you will not have to go a size up, as with most jackets, for layering underneath. And the second and last issue is getting the hang of wearing the jacket, due to the hoodie-style wear. But the good news is, it won’t take you long to get used to it. 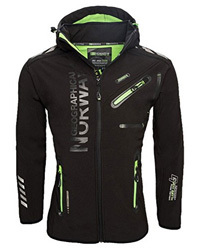 The quality, comfort and practicality of the jacket are the most commended thing by reviewers. It is spacious, it is warm and easily adjustable to any body type. There will not be any fuss while wearing it as it delivers exactly what it promises: comfort, protection and durability. That’s it ladies! 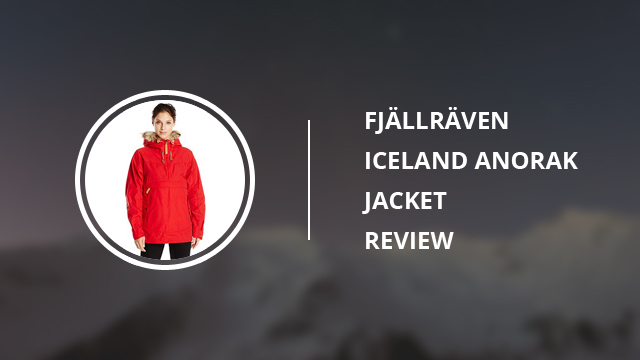 Fjällräven’s Iceland Anorak is the jacket to look for if you want versatility and quality. It is a well-designed jacket through and through.